The Church Council has its roots in the worldwide ecumenical movement which began to flourish in the early 20th Century. The Seattle Federation of Churches was formed in 1919, and this ultimately became the Church Council of Greater Seattle. Over the years the Council has embraced all denominations and many interfaith partners. It has also developed a distinctly activist character in keeping with the Pacific Northwest’s pioneering spirit and the Christian call for compassion. Our mission is to create a diverse community of churches and individuals who respond to the Gospel of Jesus Christ by building relationships of unity while working collaboratively for the common good. A living active faith in Christ that guides and sustains us. Commitment to the unity of the Christian churches and communities. Creating a more just and peaceful world. Embracing God’s gift of diversity and being open to all. Reaching out and giving hope and support to those in need. Integrity, honesty and caring in our relationships. Care for the earth and equitable use of its resources. Adopted by the Church Council of Greater Seattle Board of Directors in September 2009. The Church Council is a registered nonprofit organization, operating as a 501(c)3 organization under IRS regulations. With an active and engaged board and a small professional staff, augmented by interns, we bring faith communities and individuals together for the common good of humanity in order to know and understand each other and to eradicate the barriers and boundaries that divide and marginalize. 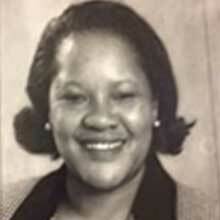 The Rev Dr. Linda M. Smith serves as Executive Director and Pastor of SKY Urban Empowerment and Transformation. Rev. Smith holds a Doctoral degree in Transformative Leadership and a Master of Divinity with Post Graduate certificate in Transforming Spirituality. She is currently pursuing a second Doctorate in Prophetic Leadership and Preaching. Rev. Smith comes from a professional background in human resources and has been actively involved in coaching managers and leaders in professional development for over 30 years. Her experience includes corporate, organizational and ministerial experience. Her involvement in government in the public square includes Renton Human Service Advisory Board and King County Regional Human Services Citizen Oversight Board. She has done volunteer work at the King County Justice Center in Kent, Seattle, and Aberdeen, ministering to those incarcerated. Rev. Smith has contributed her leadership skills to numerous civic and human service projects in Renton and King County. An active member and current moderator at All Pilgrims Christian Church (DOC/UCC), with connections to Metropolitain Community Church, Vince’s faith journey had its beginnings in the LDS tradition. Previous board work includes All Pilgrims and MultiFaith Works, where he served as president through the merger with Rosehedge, remaining on the combined agency’s board through its sunsetting. 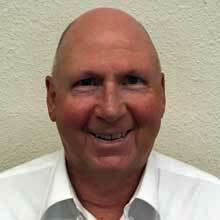 Professionally, Vince is the General Manager at Acacia Memorial Park and Funeral Home, a Dignity Memorial Provider. His calling in life centers around helping people through transitions which come with death and loss, and finding unique ways to celebrate the significance of lives well lived. Ecumenical work done by the Church Council is so important today as our society finds itself more and more divided. Regardless of individual tradition, the reality of our faith is that we are all one in God’s presence. Whether by focusing on homelessness, living wage, or other issues of social justice, we are stronger when we work together. Rev. 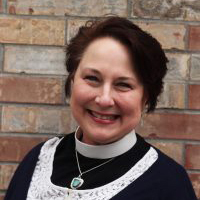 Staci Imes is the pastor of Woodland Park Presbyterian Church (PCUSA) on Phinney Ridge. As a faith leader, activist, and artist, Staci is passionate about ecumenical and interfaith social justice work. She has worked and volunteered as an advocate and educator for issues related to immigration, homelessness, and peace-making. As a parish pastor, Staci strives to teach and live a model of engaged spirituality and she enjoys folding the visual arts and music into all aspects of her work. Prior to entering ministry, Staci worked as a bilingual speech and language pathologist, with a B.S. from Truman State University and a M.S from Marquette University. Later, she served as a Young Adult Volunteer for the Presbyterian Church (USA) on the US/Mexico border and earned a Master of Divinity from the Pacific School of Religion in Berkeley, CA. Steven Pomeroy is a member of Community of Christ and serves as financial officer for several of the jurisdiction’s initiatives. He previously served as the jurisdiction’s Pastor Support Minister and a congregational support minister (2008-2015) and as Pastor of the Community of Christ Renton Congregation for more than 16 years. Steve holds a bachelor’s degree in education from the University of Arizona and a master’s degree in business administration from the University of Puget Sound. After 11 years of public school teaching in Milwaukee, Steve moved to the Seattle area and worked for more than 30 years as the Business Manager of a consulting engineering firm before accepting church employment. Steve’s strong interests on the on the board is the Church Council’s efforts include the area of civil dialogue and providing avenues of healing and reconciliation among diverse groups. 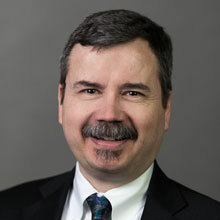 He is also a member of an ecumenical task force working with the Business School and School of Theology and Ministry at Seattle University in development of a course curriculum focused on financial literacy for pastors. Steve and his wife, Mary Ann, reside in Bellevue. The Rev. Troy Lynn Carr is pastor of Grace United Methodist Church, Seattle, after serving Bryn Mawr United Methodist Church in South Seattle for two years. Rev. Carr holds a Bachelor’s of Science in Social Work from Roberts Wesleyan College, Rochester NY, a Masters of Divinity from Lutheran Theological Seminary (now United Theological Seminary), Gettysburg, PA, and five units of Clinical Pastoral Education, with a completed Residency from Riverside Hospital, Newport News, VA. Rev. Carr is currently a Doctor of Ministry student at Seattle University School of Theology and Ministry, and is an ordained Itinerant Elder in the AME tradition. Rev. Carr is humbly honored to be elected to serve as a new board member with the Church Council of Greater Seattle, where she is excited to serve with the committee on community engagement. She is passionate about justice issues which impact youth of color and literacy. A Canadian by birth, Doneen has lived in the Seattle area since 1979. She has a BN from the University of Calgary, and is currently an Executive Board member of the American Red Cross King County Chapter. She is a member of the Church of Jesus Christ of Latter-day Saints, and is co-director of public affairs for the church in the Greater Seattle area. Doneen promotes service to the needy using the JustServe community service platform, and fosters public awareness to fight human trafficking. Doneen and her husband Wayne have four children and eight grandchildren. I love the “Weaving our Strengths” conference, and promoting peace and extending compassion by building bridges with people of all beliefs. 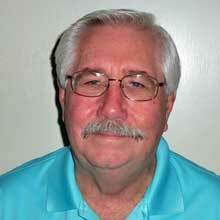 Wayne DeMeester has been a community and church volunteer all his life. 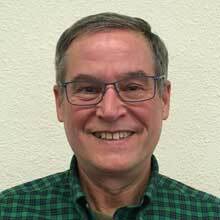 He has supported families as an avid Boy Scout leader, on the board of the Ronald MacDonald House Children’s Charities, as a Bishop in The Church of Jesus Christ of Latter-day Saints, and at present, as a Water Commissioner for the Northeast Sammamish Sewer and Water District. He promotes service to the needy using the JustServe community service platform, and by fostering awareness to fight human trafficking. He obtained his MBA from BYU, and worked in investments for the past 35 years. He and his wife Doneen have 4 children and 8 grandchildren. The Rev. Dr. Joyce Parry Moore was called to ordained ministry after a career in classical and sacred vocal performance. 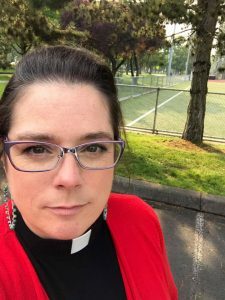 She earned her MDiv at the Pacific School of Religion, specializing in women’s studies, liturgical movement and the arts in religion. She served in California before being called to serve as Rector of St. James Parish in Kent, WA. 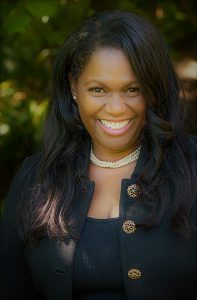 She also completed leadership training in community organizing with the Gamaliel Network, through Genesis, their Oakland affiliate; is a longtime member of the National Alliance on Mental Illness (NAMI), and completed her Doctoral Studies in Pastoral Counseling through the San Francisco Theological Seminary. 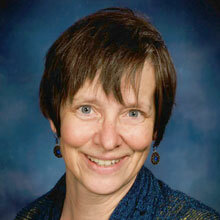 She is devoted to social justice, pastoral care and counseling, and intercultural competence. Mother Joyce and the good people of St. James, Kent, are working with community organizers from the Church Council to create an interfaith cohort in South King County. The Rev. James D. Patten graduated from Whitworth College and later, Princeton Theological Seminary. He has served four churches in the Presbyterian Church, USA: Medford, Oregon; Bremerton, Washingtion; Indiana, Pennsylvania; and Bellevue, Washingtion. Jim retired in 2014. He is married to Jackie Patten. He has had a life-long passion for social justice and loves the Church Council’s involvement with racial justice and immigration. Originally a native New Yorker, she has lived in the Seattle area since 2003. 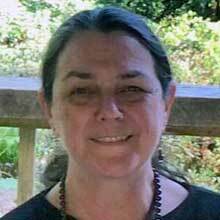 She is a retired community health center training manager and a volunteer Cedar River Salmon Journey naturalist. The Church Council brings Christian congregations of many varieties into collaboration, giving them the opportunity to nurture that which unites them and disregard that which divides them. In this broken world, the Church Council calls Christians to demonstrate by their working together that peace can be the way. 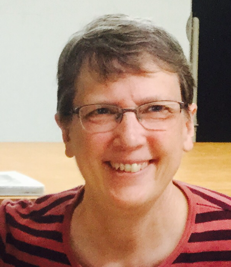 Roberta Rominger has been the pastor of the Congregational Church (United Church of Christ) on Mercer Island since March 2015. She grew up in the United Church of Christ and is a passionate believer in its stances for fresh thinking, inclusiveness and social justice. After studies at UC Berkeley and the Pacific School of Religion, she was ordained in 1982. Her first service was in Arizona, and during that time, she heard a call to ministry in the United Kingdom, where she led congregations in the London suburbs and the Northeast. Ecumenical partnerships were high on the agenda everywhere she served, and her pastorates included federated congregations combining several denominations in single community churches. She then spent ten years as a regional minister in the London area and six years as General Secretary of the United Reformed Church, overseeing church work in England, Scotland and Wales and serving as a director on many boards. It is that managerial experience that she shares with the Church Council, with commitment to the fiduciary responsibilities of the Board which make for healthy accountability and robust structures as well as lively vision and strategic planning. Roberta is married to Dale, a retired UCC minister. She plays the cello and is active in the Seattle amateur music community. Rev. 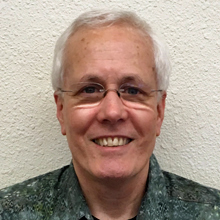 Dr. Rick Russell is a retired United Church of Christ clergy person, having served churches in Maine, New Hampshire, and Washington from 1983 to 2011. He was also an adjunct faculty at Seattle University’s School of Theology and Ministry from 2002 to 2017, teaching the Ministerial and Theological Integration course. Rick received his Master of Divinity degree from Bangor Theological Seminary and his Doctor of Ministry degree from Andover Newton Theological School. His doctoral project was on Men’s Ministry in the United Church of Christ: Past, Present, and Future. Rick is an active member of his local UCC church in Seattle, enjoys singing in the choir, providing leadership in denominational men’s retreats, visiting his family in Germany, volunteering in the community, and engaging men and women on how God is moving in their lives. In his role as the Executive Director of the Church Council of Greater Seattle, Michael connects congregations in King and South Snohomish Counties, empowering them in working toward God’s shalom. He has worked on ecumenical community building for two decades and enjoys connecting spirituality with social justice. At the Church Council, confronting homelessness, immigration accompaniment and reform and building a living wage future have been his central commitments with faith communities throughout the region. Michael served as Director of Latino Ministries for the Catholic Diocese in Oakland in the mid-1990s before moving back to Seattle with his wife, Donna, and their two (now-grown) daughters. He holds a Masters of Divinity from Seattle University. After growing up and going to college in New York City, Michael came to the Pacific Northwest thirty years ago. 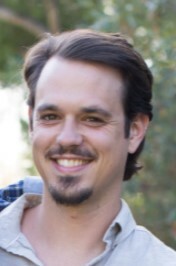 Joey Ager, a Scottish transplant to the PNW via Washington, DC and San Diego, is passionate about the prophetic power of faith communities to transform the world. At the Church Council, his focus is on bringing the tools of faith-based community organizing to communities throughout the region, with a particular focus on the diverse and highly impacted communities of South King County. He trained as an organizer with mostly Spanish-speaking Catholic communities in San Diego, holds a degree in Theology from Oxford University, and writes about the relationship between faith and global humanitarianism, most recently as the co-author of the book Faith, Secularism and Humanitarian Engagement. Joey lives in south Seattle with his wife, Emily, and two boys, Rowan and Finlay. Briana’s work focuses on strengthening networks of faith communities to support housing access and ensure that cities are safe and welcoming for immigrant and refugee communities. Briana interned as a Living Wage Organizer with CCGS during her year of service with the UCC Justice Leadership Program in 2013. She is pleased to return to the work of faith-based community organizing after spending several years as a bilingual (English/Spanish) paralegal. She grew up in Colorado and came to the PNW to attend Pacific Lutheran University. Briana spent time in Mexico and Central America while completing her degree in Global Studies and Political Science. Her favorite places to find rest and renewal are on the trails, near water, on her bike or in her garden. Erica N. West comes to the Church Council from the D.C. metropolitan area via the Justice Leadership Program of the United Church of Christ. Erica (otherwise affectionately known as E) is embracing this time at the Church Council as a period of experiential learning and vocational discernment on the journey before entering divinity school. 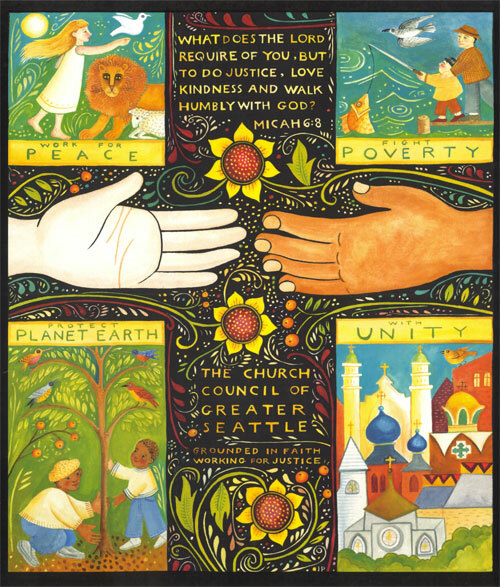 E sees social justice as a form of spiritual praxis and at the Church Council is focused on organizing faith communities around housing, homelessness and the issues therein, in the diverse and complex political landscape of Seattle. E is a recent graduate of William & Mary and holds a degree in Government and American Studies. E enjoys reading for pleasure, spending time in intentional community, exploring Seattle public parks and social media. Allison recently finished a year as a Young Adult in Global Mission serving with Lea Road United Reformed Church in Wolverhampton, England. She grew up in the Chicago area and developed her faith at First Congregational UCC in Naperville, Illinois. She graduated from St. Olaf College with a Bachelor’s degree in Psychology and Statistics and spent summers working as a backpacking guide at Sky Ranch Lutheran Camp in the Colorado Rocky Mountains. 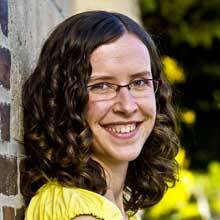 Allison comes to the Church Council of Greater Seattle through the UCC’s Justice Leadership Program, and will also be serving at Plymouth UCC. She is passionate about inspiring youth in both secular and religious contexts. She likes playing ultimate frisbee, performing and listening to music, exploring, and pulling pranks on her friends. To Beth, arriving at the Church Council seemed like a natural destination in a life journey that led her through non-profit management and an ever-growing practice in the Christian tradition. Beth brings more than twenty years’ experience as a development officer and educator, often working with groups during times of transition. 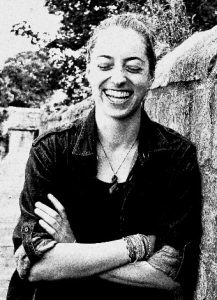 She served as Development Manager of Seattle Shakespeare Company and Taproot Theatre Company, as well as overseeing educational programs for Pacific Science Center and Seattle Public Theater (where she was a co-founder). Her faith journey began in the Episcopal tradition and brought her eventually to University Congregational United Church of Christ. Along the way, Holy Spirit has shown her the power of Evangelical prayer, Benedictine reflection, Sufi poetry, and Quaker silence. Beth maintains a practice and focus around helping people join together for meaningful moment in worship, organizing, performance, and non-profit ministry. Beth is inspired in her work by seeing brothers and sisters of many traditions together—listening and learning, worshiping and working—a foretaste of the heavenly banquet! Ann grew up in northwestern Illinois and graduated from Grinnell College with a degree in Psychology, and significant coursework in Political Science and Religious Studies. 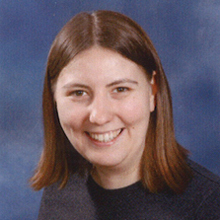 She moved to the Pacific Northwest as a Lutheran Volunteer, serving at Nativity House in Tacoma, and began working at the Church Council in August, 2007. 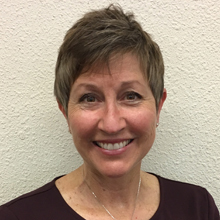 She has a Certificate of Non-Profit Management from the University of Washington and is a “Jill of all trades,” loving to work on any sort of puzzle and being a behind-the-scenes engine at the Church Council and her congregation. She is thankful for the many ecumenical, interfaith, and justice mentors and guides in her life. She is inspired by the relationships built across human-made boundaries, and the strength that such relationships bring in moving our world toward justice and creating God’s kindom here on earth. 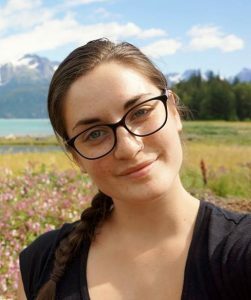 Irene was raised between Southeast Alaska and the PNW, attending unprogrammed Quaker meeting with her family throughout her youth and young adulthood. 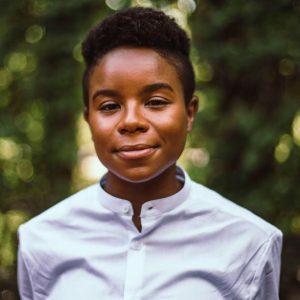 She graduated from the University of Alaska Southeast with an interdisciplinary degree in Anthropology and Biology and a minor in business in 2017, and has been volunteering in both arts and social justice nonprofits in various capacities for the past fifteen years. Irene is grateful for the opportunity to work with The Church Council’s rich community of donors, volunteers and faith partners to support the endless organizing, legislative, and community-building efforts of her coworkers. The Church Council’s work in support of affordable housing and immigrant accompaniment, especially in her home area of South King County, helps keep her hope-full for the world we are all building together, one in which all our neighbors see justice. Original artwork by Julie Paschkis.